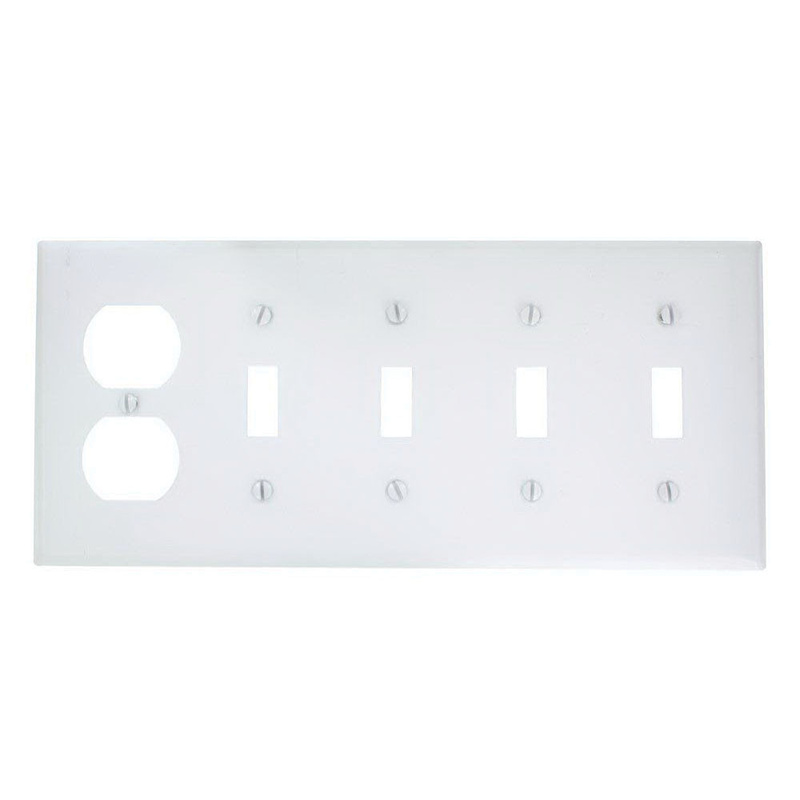 Leviton 5-Gang standard size combination wallplate in white color, has thermoset plastic construction for added strength and durability. This wallplate has one duplex device and four toggle switch configuration. The rectangular wallplate with horizontal orientation, measures 10-Inch x 4.5-Inch and has a thickness of 0.22-Inch. It has a cutout of 0.406-Inch x 0.942-Inch. Combination wallplate meets UL and CSA standards.